Connecting Two Computers With USB Port over Ethernet has the advantage that you can share files, Internet Connection but will not need to carry a router. With our method for Connecting Two Computers With USB Port, basically you can connect anywhere, like if you went to a vacation. Furthermore, with the advent of HSPDA, mobile Internet is most commonly used as they offer mobility, cross usage of VPN with Android Mobile by simple swapping the USIM card. All you need to buy are three cables. You actually can use the Ethernet port directly, but that is optional as smaller laptops / netbooks might not have a networking card at all. USB port can not be absent. This paragraph is to extend your knowledge about modern mobile computing, it is not a must to read for this guide for connecting two computers with USB port over Ethernet. If you feel difficulty, you can skip to next sub header. Now the explanation of the terminologies we used. First is router. Hub, switch and router are core components of networking, router is usually supplied by the ISP for Broadband with VPN, Leased Line etc. It depends on the ISP, how they configured their service. Connecting two computers with USB Port over Ethernet avoids the router thing. Now, how to increase the number of USB port in case you do not have lot of USB ports. USB Hub can increase the number of USB Ports. Now about USB Modem with HSPDA, all are written before. USIM is Universal SIM, we have an article on SIM too. Last are various kinds of connectors and details on Ethernet itself. Basically if you want only to share Internet connection, then using Portable Wifi Hotspot Devices is the hassle free way. Otherwise you have to follow this way and suffer the pain for Connecting Two Computers With USB Port over Ethernet. However, although it is a bit painful, this is the least costly, requires the least knowledge on networking and except the cables no big thing is required. You will get them at Ebay (seller must have good reputation) at lesser cost as for Networking these are obsolete because of limitations for enterprise usage, often they buy a huge lot (as sellers are not networking expert) and try to get rid of them. 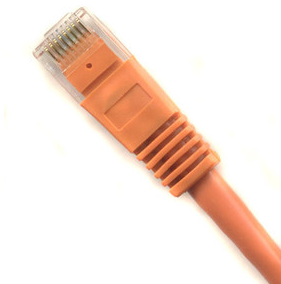 You will definitely get at local computer accessories shop and they will definitely ask you what you will do, because these Ethernet crossover cables can not be used with a router (that is the normally followed way). Your answer is clean – For Connecting Two Computers without Router. 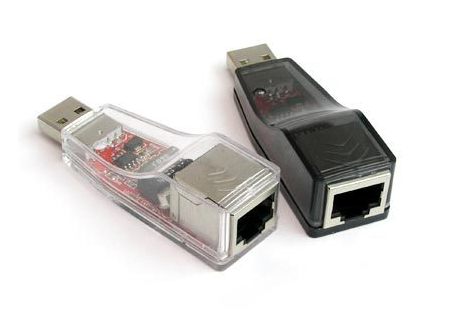 This is called USB to Ethernet LAN Adapter and available in the same mentioned places. But note that, the cable is regular Ethernet cable (RJ45 CAT5e UTP Ethernet LAN), even less costly than Ethernet crossover cable. The major part Operating System configuration for networking, as we all use Desktop Operating System, not Server operating system, a bit reading the official documentation of the respective Operating System is needed. It is painful to write (and meaningless as official guides are there) for Windows, Mac and Linux plus the various combinations. Cloud Printing is becoming another niche as current technological environment is changing radically in a short time and cloud printing can add extra advantage. Cite this article as: Abhishek Ghosh, "Connecting Two Computers With USB Port over Ethernet," in The Customize Windows, October 20, 2012, April 26, 2019, https://thecustomizewindows.com/2012/10/connecting-two-computers-with-usb-port-over-ethernet/.